The mermaid is unaware of the terrible fate which awaits her as she leaves the sea for the last time. 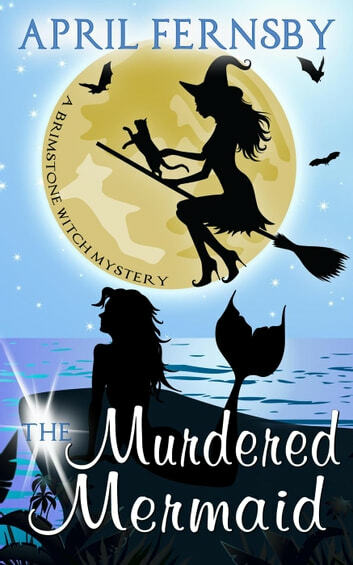 The mermaid, Nerita, was in charge of the community in Brimstone Beach. Her demanding ways and brusque manner had made her unpopular with the residents. She'd also offended leaders in other communities. Had her controlling ways led to her murder? Justice witch, Cassia Winter, is on hand to deal with the murder investigation. Her trusty cat, Stanley is at her side. The investigation is not straight forward and Cassia and Stanley uncover many secrets from the past, including those from Cassia's past. Was Nerita murdered by a bitter rival? Or does her death have something to do with the mysterious disappearance of the Brimstone sirens? Cassia faces her greatest challenge yet as she's faced with a catastrophe which could result in many deaths. Will she able to stop it? A gripping mystery with a shocking end.